Come to the library to pick up the materials and pattern for this month's "beautiful block" quilting project. Meet at 2:00 p.m. to mix and mingle with other quilters, or just stop by the library during the next week to pick up your pattern. Don't forget your block from last month to show-and-tell! The beautiful block will change every month. 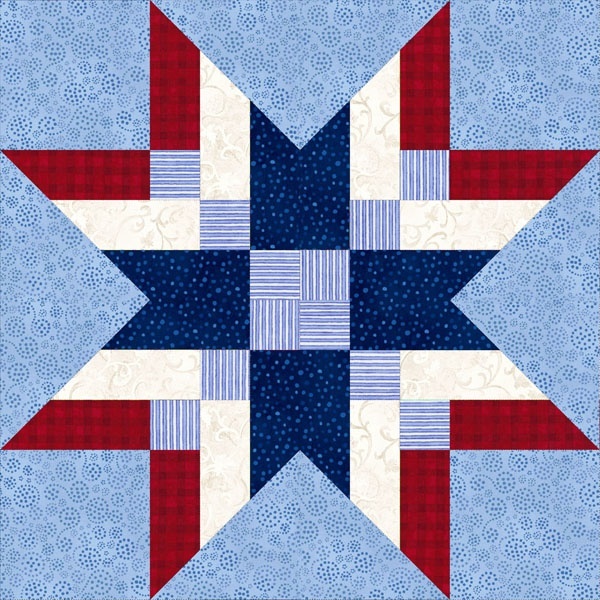 Designs are based on vintage patterns with a red, white, and blue color scheme.